Home /Nashville Business/Downhill MTB in Tennessee?! Windrock Bike Park means business. More info on Downhill MTB in Tennessee?! Windrock Bike Park means business. Windrock Bike Park is known for its raw, natural terrain. For years, it has been a training grounds to professional downhill racers. This year, along with the addition of public weekend shuttles, Windrock Bike Park is proud to offer machine built trails and cater to a wider range of ability levels. Windrock Bike park is one of the gnarliest mountain bike parks around. Phil Kmetz follows Pro Downhill racers Dakotah Norton and Jake Smith down the steep trails at Windrock on a borrowed trail bike. Windrock Bike park is one of the gnarliest mountain bike parks around. Phil Kmetz follows Pro Downhill racers Dakotah Norton and Jake Smith down the steep trails at Windrock on a borrowed trail bike. Mountain bike skill tutorials hosted by Pro downhill racer Phil Kmetz. WINDROCK PRO GRT: Downhill Racing Hits Tennessee. The inaugrual Windrock race will make it the only Midwest stop of the Pro GRT, and as the first mountain bike race in North America to offer UCI points for 2017, will give riders a chance to push their limits early in the season. Windrock Bike Park means business. Windrock Bike park is one of the gnarliest mountain bike parks around. 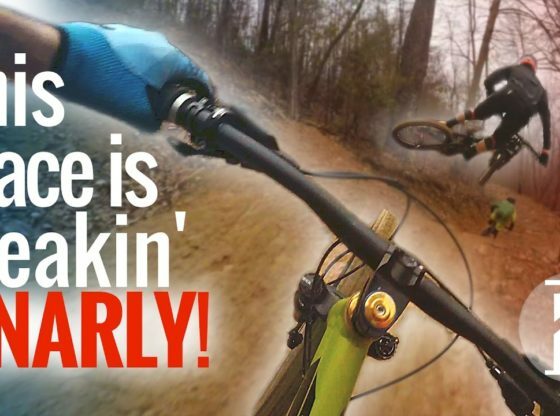 Phil Kmetz follows Pro Downhill racers Dakotah Norton and Jake Smith down the steep trails at Windrock on a borrowed trail bike.